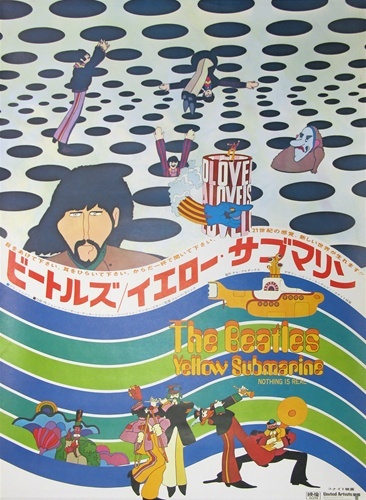 In addition to the 1966-released title song “Yellow Submarine”, several complete or excerpted songs, four previously unreleased, were used in the film. The songs included “All Together Now” (Paul played it in Oslo, a few weeks ago, sadly it was the worst of an otherwise fantastic concert); “It’s All Too Much”, written by Harrison; “Baby, You’re a Rich Man”, which had first appeared as the B-side to “All You Need Is Love”, in June 1967; “Only a Northern Song”, a Harrison composition originally recorded during sessions for Sgt. Pepper’s Lonely Hearts Club Band; and, for the European release only, “Hey Bulldog”. 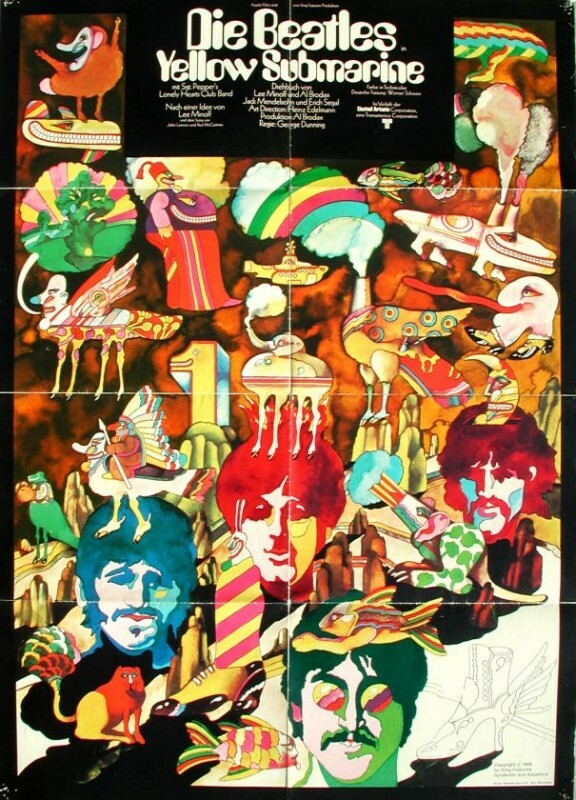 Written by Lennon, this last track was cut from the film when it opened in U.S. cinemas; according to Segal, its removal was suggested by McCartney when the film-makers met with the band straight after the London premiere in July 1968. “Hey Bulldog” was restored for the U.S. theatrical reissue in 1999. The four new songs used on the soundtrack album were not considered of high enough quality for appearance on a regular Beatles album. The film’s instrumental music was an orchestral score composed and arranged by George Martin. One of the film’s cues, heard after the main title credits, was originally recorded during sessions for “Good Night” (a track on The Beatles, also known as the White Album) and would have been used as the introduction to Starr’s White Album composition “Don’t Pass Me By”. The same cue was later released as “A Beginning” on the 1996 compilation Anthology 3.